ALM is a highly respected developer of multiple varieties of auto lifts. ALM bought and previously manufactured Joyce in-ground lift products. The ALM 9001A 2-post surface mount remains one of the most popular lifts in the country. 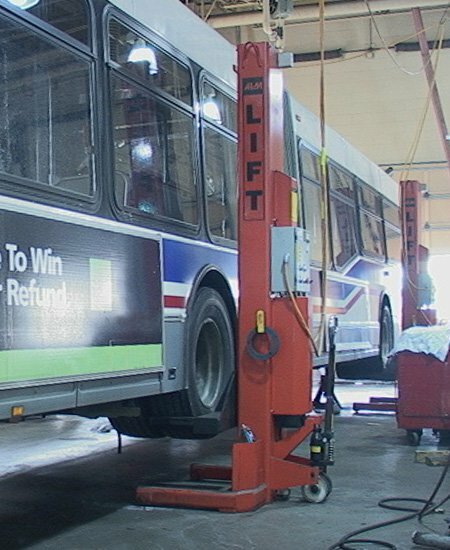 Automotive Lifts and Machinery Corporation (ALM) has long been one of the most respected lift companies. When Stertil of Europe purchased ALM, demand increased for repair parts on hundreds of lifts across the country. In fact, ALM has been involved in just about every facet of the automotive lift industry. They bought and once made the Joyce in-ground lift products, and ALM’s 9001A 2-post surface mount lift is a classic. The 4-post model 12001A is also valued in many shops doing high volume alignment work. You name the model style, from scissor lifts to mobile column lifts and everything inbetween, ALM has been involved. SVI offers the replacement parts for your ALM lift. We know the importance of keeping your ALM lift up and running, and we offer auto lift repair parts for all ALM models. We can tell you, the demand continues to grow! You can count on SVI to keep your lift in service long after any model has been discontinued.